Monster Beverage, one of the top energy drink companies in the United States, reported its fourth quarter 2017 net sales as more than $810 million. That’s just one company, and that’s just for one quarter. The value of the US energy drinks market is worth more than ten billion dollars. This is in spite of the fact that many health advocates are saying energy drinks have various potentially adverse effects on one’s health. 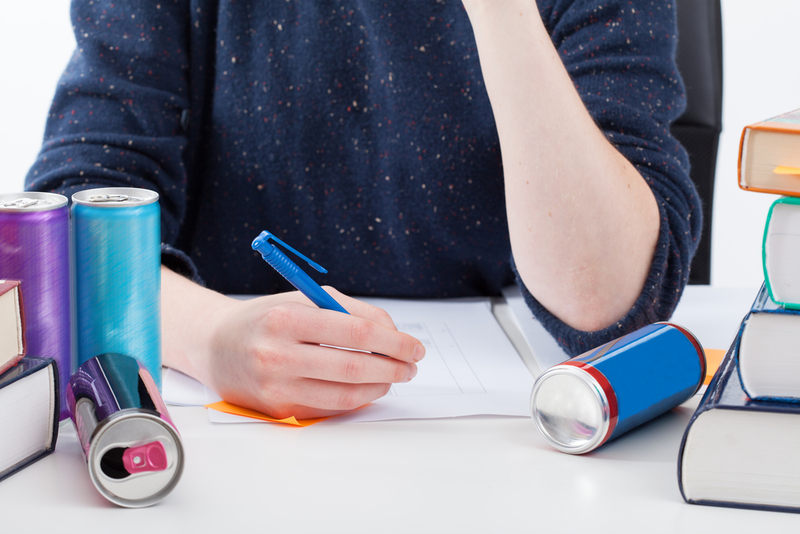 Here are 5 possible ways energy drinks can harm your health. Energy drinks and shots usually contain caffeine and other ingredients that may or may not boost energy levels. These drinks are associated with increased heart rates as well as higher blood pressures, which is attributed to their high caffeine content. Energy drinks are also known to cause ventricular arrhythmia or heart rhythms that are abnormally rapid. In severe cases, consumption of energy drinks can lead to atrial fibrillation. When this happens, the atria and the ventricles are beating irregularly and are no longer in sync. A person suffering from atrial fibrillation may complain of heart palpitations as well as shortness of breath. Atrial fibrillation, if not treated right away, can lead to stroke and other heart diseases. There have also been reports that men as young as seventeen or nineteen years old had episodes of myocardial infarction after consuming energy drinks. Studies have shown that regular consumption of energy shots or energy drinks can lead to impaired endothelial functions. Other adverse effects on the cardiovascular system associated with high consumption of energy drinks include aneurysm formation and arterial dilation which can cause sudden drops in blood pressure. To date, there have been several energy drink-related deaths reported. Because of this, many health advocates are calling for the banning of energy drinks, or at least to prohibit their sale to young people below age 16. In a recent study conducted in Canada involving more than 2,000 young people aged 12 to 24, various side effects of energy drink consumption were reported. Experiencing fast heartbeat was the number one complaint at 24.7%, followed by difficulty sleeping at 24.1%. Other reported adverse effects include headaches, chest pains, nausea, diarrhea, and vomiting. A small percentage also reported having seizures. 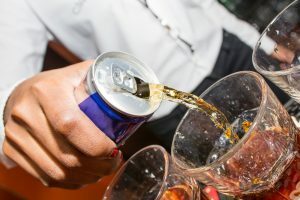 In another study involving young adults, the researchers investigated the effects of drinking acute consumption of energy drinks on the subjects’ blood pressure and heart rate as well as their blood glucose levels. Higher diastolic blood pressure and blood glucose levels were reported after drinking three energy drinks at one-hour intervals. 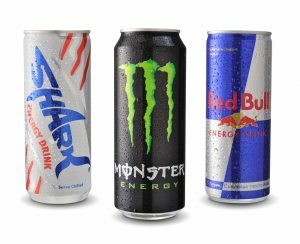 A high intake of energy drinks can lead to dental erosion. This is because energy drinks normally have high sugar content and low pH which are contributing factors to dental erosion. In fact, studies have shown that energy drinks cause more damage to oral health than sports drinks do. Because energy drinks are generally acidic, it erodes the glossy outer layer of teeth called the tooth enamel. When this is eroded, it can make the teeth hypersensitive and prone to cavities. What’s more unfortunate is that erosion of the tooth enamel is an irreversible damage. In many energy shots or drinks, caffeine is not the only source of energy. These drinks often contain high concentrations of sugar. Hence, acute caffeine intake can lead to higher risks of obesity, insulin resistance, and type 2 diabetes. With regard to its effect on insulin sensitivity, caffeine intake is correlated with insulin resistance in a dose-dependent manner. This means that the likelihood of increased insulin resistance goes higher the more caffeine you consume. Preliminary evidence also shows that overconsumption of energy drinks may have adverse effects on the liver. Caffeine is considered a diuretic, which means it promotes the formation of urine. Diuretics work by making a person lose water through urination. Thus, diuretics like energy drinks should be avoided when there is a potential for dehydration such as when you are engaged in prolonged exercise where temperatures are high. In one study involving US Air Force personnel, the results showed that regular energy drink consumption was highly associated with both trouble falling asleep and dehydration. More than 20% of the survey respondents complained of dehydration as a side effect of energy drink consumption. Aside from promoting diuresis, caffeine also increases sodium loss. Because sodium is important in proper cardiovascular functioning, sodium loss may affect cardiovascular performance during athletic events or while engaging in physical activities. Drinking too much caffeine can lead to an intoxicated state. In fact, caffeine intoxication is actually listed in the latest edition of Diagnostic and Statistical Manual of Mental Disorders (DSM5). The symptoms listed in the manual include insomnia, restlessness, diuresis, nervousness, muscle twitching, and psychomotor agitation, along with other symptoms. If a person is experiencing significant distress and is showing 5 or more of the listed symptoms after consuming 250 mg or more of caffeine, then it could be diagnosed as caffeine intoxication. Caffeine intoxication, however, is not the only caffeine-related disorders listed in the DSM5. Caffeine-induced anxiety and sleep disorder are also included. Aside from these, consumption of caffeine at more than 300 mg can also induce hallucinations. Out of all the possible adverse effects of overconsumption of energy drinks, the most dangerous is when energy drinks or energy shots are mixed with alcohol. This can lead to death. In fact, there have been several deaths attributed to the lethal combination of alcohol plus energy drink. Many people believe that they can reduce their drunkenness or sober themselves up if they drink coffee or energy drinks after having drunk large quantities of alcohol. The truth is caffeine does not help metabolize alcohol nor does it lessen the impairment effects of alcohol but it does mask alcohol’s depressant effects. The result is that it makes people think they’re not yet drunk, so they will continue to drink alcohol. This then increases the risks of alcohol-attributable dangers like drunk driving and impaired judgment.